The Malaysian Grand Prix just passed may not have been an enthralling one, but it could well have been an important one. Its outcome felt rather a lot like a signpost of what is to come. 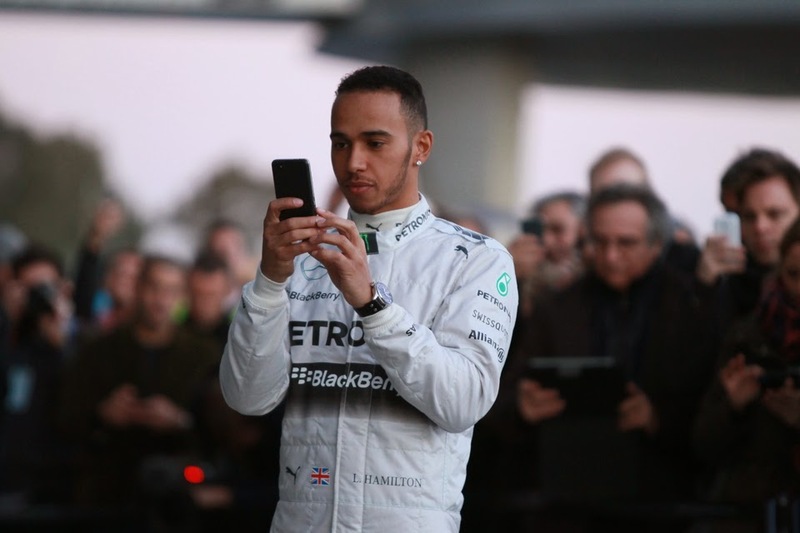 Is the sun to shine on Lewis Hamilton in 2014? Yes, the Mercedes being the class of the field part was expected, but the bit wherein Lewis Hamilton wiped the floor with Nico Rosberg was less so. Perhaps much less so. Indeed, we were all familiar with the narrative expressed in the off-season: there was little - surprisingly little - to choose between Lewis and Nico in their first season as team mates in 2013; the new complex formula of 2014 would suit Nico and his cerebral, engineering-led, approach; Lewis by contrast would find the nuances beyond him and the requirements to fuel-save at cross purposes with his press-on style. Of course, last Sunday was but a single race. Further there may have been details explaining at least some of the Lewis-Nico chasm that Mercedes isn't letting on, such as Nico entering a set-up blind alley during the Sepang weekend or having a technical problem. But on the basis of what we know last Sunday's action indicated that Lewis Hamilton will take some stopping this season, as much as for his team mate as anyone else. And I for one wasn't all that surprised. I did wonder that some espousing the assumptions summarised in the earlier paragraph perhaps were guilty of getting overexcited (and you can check back to my Mercedes season preview if you don't believe me). The common description of Lewis as some kind of F1 kamikaze pilot - capable of great speed but much less of restraint or analytics - is a gross oversimplification and sells him way short. We just have to look back to previous seasons for evidence that gives lie to it, most notably to the 2012 campaign wherein the gumball Pirelli tyres were doing their worst, and had to be nursed painstakingly through races, often in close consultation with the pit wall. Yet in these circumstances Lewis was superb, being a contender for victory just about everywhere and he in all probability would have taken the world championship but for wretched luck with mechanical reliability. Indeed, Lewis can claim that year's longest race day stint on a single set of tyres, in Barcelona, wherein he did close to half the race without halt and was still quick. 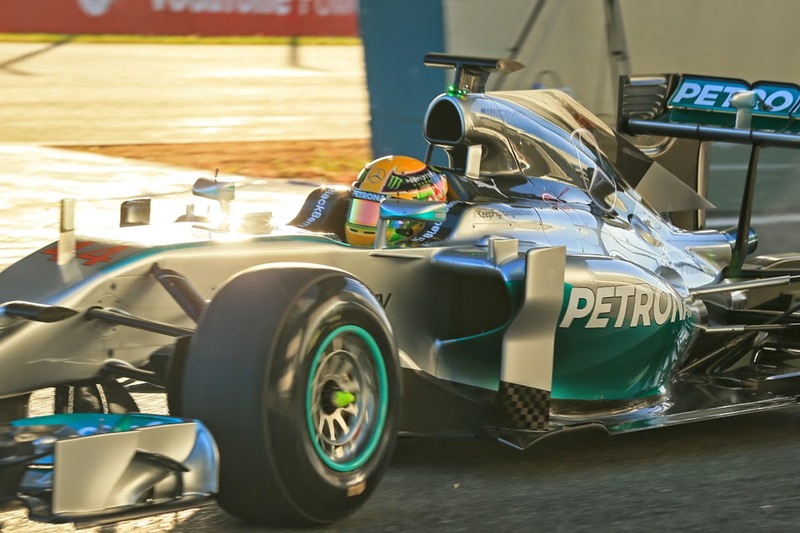 I also wondered if 2014 would more generally be something very different to 2013 in the Merc camp. Partly of course Lewis has now had a year in which to get his feet under the table (and not for nothing he has been quoted commenting merrily that he feels 'really comfortable in this car') but moreover, with the Mercedes W05 as the standard bearer I did ponder on whether matching Lewis in a good-ish car in 2013 was one thing, matching Lewis in a car that puts the smell of a championship into his nostrils was another matter entirely. We've seen similar before, such as when Mika Hakkinen and David Coulthard were paired at McLaren. In their first two campaigns together - 1996 and 1997 - wherein the McLaren wasn't a championship winner there wasn't a great deal to choose between them. Indeed in 1997 DC scored the more points, as well as claimed two wins to Mika's one (and that one was handed to him, in part by his team mate), though this all did owe something to a run of breakdowns for the Finn in the second half of the year. But then in 1998 and 1999 the McLaren was the class of the field, and Mika was the one to step up to the plate. Suddenly the gap between he and Coulthard gaped: two world championships and 13 victories for Mika; a solitary race win per season for DC. Great drivers have a way of seizing upon their opportunities. Even better for Lewis is that the conspicuous emotional peaks and valleys - in and out of the car - and the tendencies to audibly beat himself up seen frequently last campaign and before now seem abandoned this year too. Throughout his demeanour has been positive and focussed, even after landing on the lengthy snake of retiring early in Melbourne. If anyone does manage to usurp Lewis Hamilton over the 2014 season surely they will not be far from the title themselves.